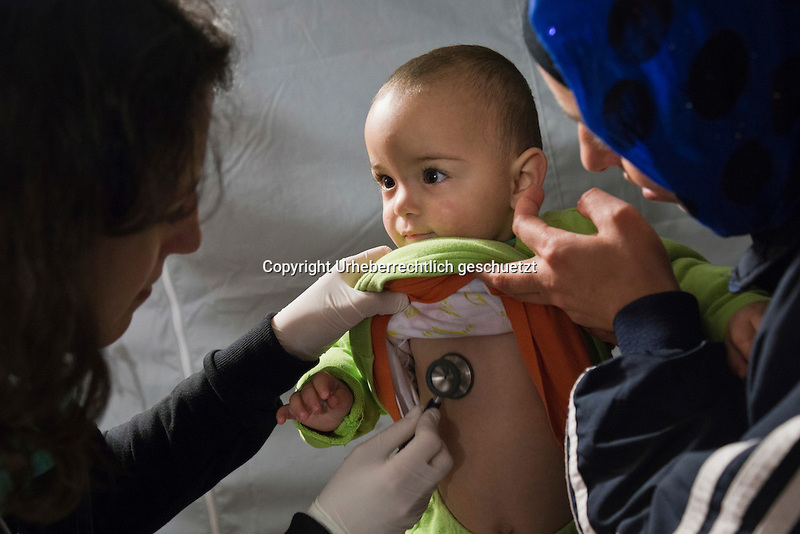 Idomeni, is the eye of a needle for getting to nothern Europe. Children from Syria, Afghanistan and Irak in Idomeni, suffer under the circumstances of heavy rain, cold nights, no dry spaces. Most of them get sick. Red Cross Team from Hungry during their shift at the Emergency Room, Hospital which is a small tent. Difficult cases will be taken to the hospitals in Polycastro or Thessaloniki. keine Veroeffentlichung unter 50 Euro*** Bitte auf moegliche weitere Vermerke achten***Maximale Online-Nutzungsdauer: 12 Monate ! !